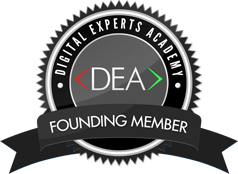 In these videos you will learn about the ten point success formula outlining the steps you should take to set up and manage your Six Figure Mentors & Digital Experts Academy Business. Follow and take action on these ten success steps to maximise your results from your new internet business. Commentary: By way of an introduction, Mark Ford discusses the team step by step guide to success. Don’t go it alone! Commentary: By way of an introduction, Mark Ford discusses Step 1 of the team step by step guide to success. Be consistent, persistent and never quit! Commentary: By way of an introduction, Mark Ford leaves you with some closing thoughts concerning Step 1 of the team step by step guide to success. Be consistent with your actions, persist and never quit! Where Do I Start Mark? Commentary: Mark Ford discusses Step 2 of the team step by step guide to success and provides a recommendation on where is the best place to get started with your new business. Commentary: Mark Ford discusses Step 3 of the team step by step guide to success sharing with you the importance of goal setting and creating a vision book. Commentary: Mark Ford discusses Step 4 of the team step by step guide to success by giving advice on the setting up your SFM Back office and affiliate account. Commentary: Mark Ford discusses Step 5 of the team step by step guide to success sharing with you the importance of making a SFM and DEA positioning decision early on in your business. Commentary: Mark Ford discusses Step 6 of the team step by step guide to success and provides some tips on the daily tasks to carry out in your business. In this video Mark looks at Blogging Daily. Commentary: Mark Ford shares with you part two of Step 6 of the team step by step guide to success. Mark provides further tips on the daily tasks to carry out in your business and in this video Mark looks at Marketing Daily. Commentary: Mark Ford discusses Step 7 of the team step by step guide to success and provides a brief overview of the Ten Point Sucess formula team website. Visit this link to review the full overview provided by Mark Ford in a team webinar on the 10th January 2014. Commentary: In Step 8 of the team step by step guide to success Mark Ford discusses the importance of being involved in Mastermind Groups and Masterminding with your team. Topic: Being A Team Player! Commentary: Mark Ford discusses Step 9 of the team step by step guide to success and poses a question to you – Are you going to be a team player or build a business on your own? Commentary: For the last step by step module in the series, Mark Ford discusses Step 10 of the team step by step guide to success and shares with you information and resources about personal development. Stay inspired! >>> Keep an eye on your inbox for team broadcasts and communications from Mark Ford and to set up your team one on one consultation calls > Click Here. >>> Join our team Facebook Group > Click Here.